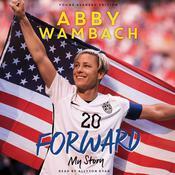 Based on her inspiring, viral 2018 commencement speech to Barnard College’s graduates in New York City, New York Times bestselling author, two-time Olympic gold medalist and FIFA World Cup champion Abby Wambach delivers her empowering rally cry for women to unleash their individual power, unite with their pack, and emerge victorious together. 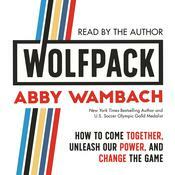 Abby Wambach became a champion because of her incredible talent as a soccer player. She became an icon because of her remarkable wisdom as a leader. As the co-captain of the 2015 Women’s World Cup Champion Team, she created a culture not just of excellence, but of honor, commitment, resilience, and sisterhood. 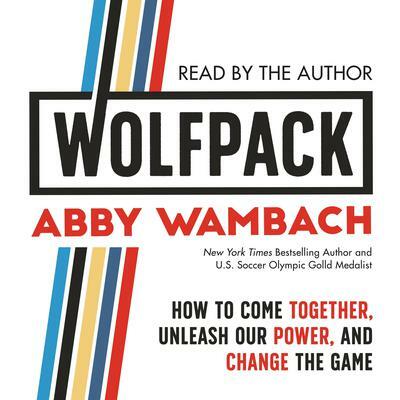 She helped transform a group of individual women into one of the most successful, powerful and united Wolfpacks of all time. In her retirement, Abby’s ready to do the same for her new team: All Women Everywhere. We have never been Little Red Riding Hood. We Are the Wolves. We must wander off the path and blaze a new one: together. She insists that women must let go of old rules of leadership that neither include or serve them. She’s created a new set of Wolfpack rules to help women unleash their individual power, unite with their Wolfpack, and change the landscape of their lives and world: from the family room to the board room to the White House. · Make failure your fuel: Transform failure to wisdom and power. · Lead from the bench: Lead from wherever you are. · Champion each other: Claim each woman’s victory as your own. · Demand the effing ball: Don’t ask permission: take what you’ve earned. 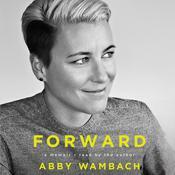 Abby Wambach is an American soccer player, coach, two-time Olympic gold medalist, FIFA Women’s World Cup Champion, and the 2012 FIFA World Player of the Year. A six-time winner of the US Soccer Athlete of the Year award, Wambach was a regular on the US women’s national soccer team from 2003 to 2015, earning her first cap in 2001. She currently stands as the highest all-time scorer for the national team and holds the world record for international goals for both female and male soccer players with 184 goals.